Seedling Pots That Rot? What a Great Idea! Seedling pots that rot like eggshells, peat pots and pots made from black and white newspaper are ideal for home gardeners. With pots that rot, there's no seed-starting tray clean-up and no plastic refuse to throw away. And there's no messy transplanting either. Just plop seedlings, biodegradable pots and all, into the soil when they're hardy enough to transplant. 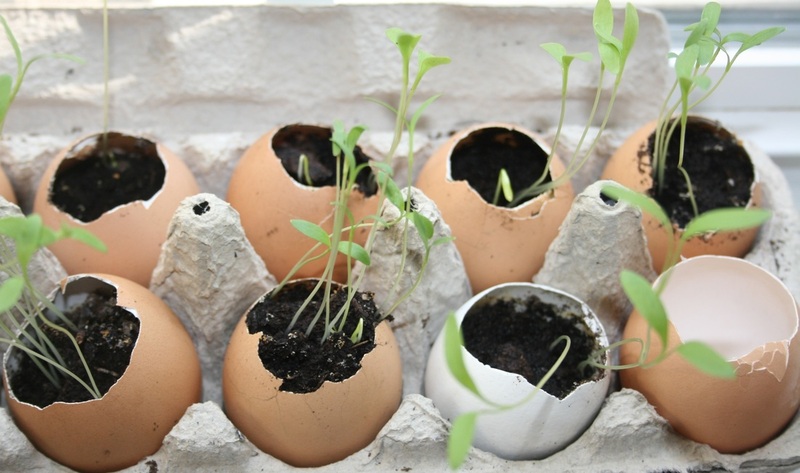 Biodegradable pots have an additional advantage as well: they allow you to transplant seedlings without disturbing their delicate root systems. 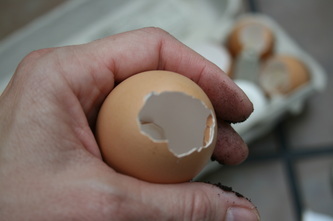 My favorite pots that rot these days are eggshells. 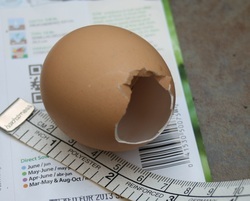 To make eggshell pots work, select very large eggs and knock off only the very top of the shell. 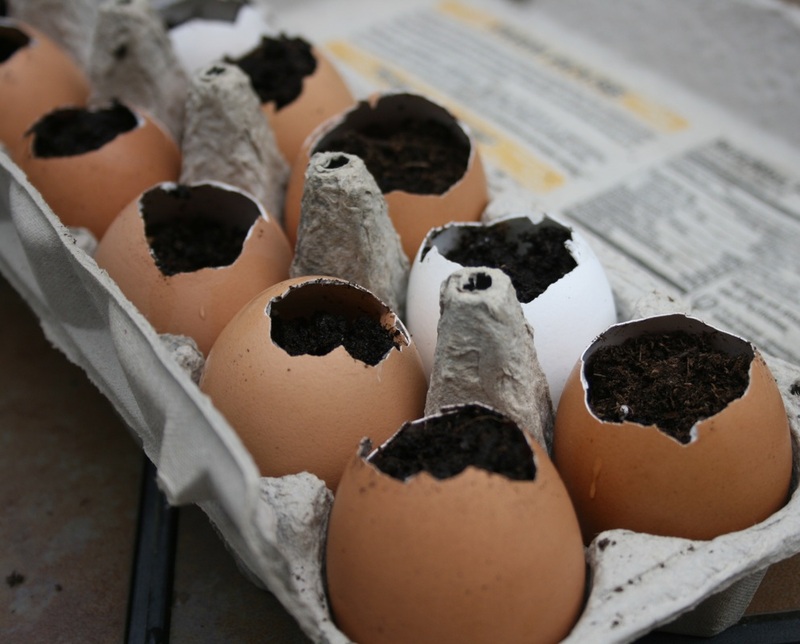 So that your seedlings can set down a good mass of roots, you need "roomy" eggs, ones that are at least two inches deep. Once your seedlings (or cuttings) are ready to transplant, simply crack the shells against something hard so that the roots don't have to struggle as they establish themselves. 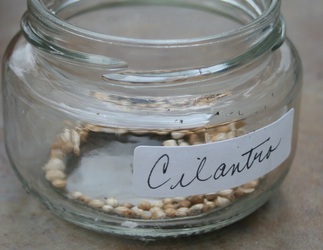 Then plant the seedlings in the prepared bed. It's that easy!